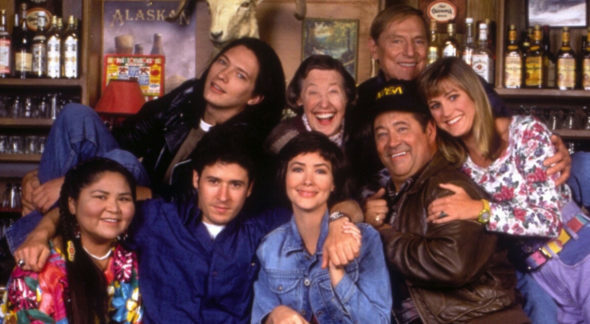 Could there be a Northern Exposure revival? Recently, the cast of the CBS TV show told the Today show that “something is in the works,” The Wrap reports. The ’90s dramedy followed Dr. Joel Fleischman (Rob Morrow), a New York City physician who is sent to the small town of Cicely, Alaska. The cast also includes Barry Corbin, Janine Turner, John Cullum, Cynthia Geary, and John Corbett. The show originally ran for six seasons between 1990 and 1995. What do you think? Are you a fan of Northern Exposure? Would you watch a revival? More about: CBS TV shows: canceled or renewed?, Northern Exposure, Northern Exposure: canceled or renewed? Oh my gosh!!!! A Northern Exposure revival?!?!?!!! That would be Fabulous! I love that show. I have purchased some of the seasons. I all in… bring it back.. Yes Yes Yes!!! It would b wonderful to see this show show come back. I really liked it the 1st time it was on & I bet it would b just as good if not better. So I say bring it back!!! characters and story line were very unusual. Definitely – I would watch !! I wish someone would broadcast the entire show – can’t find it anywhere – NETFLIX – pick it up, and do the re-boot, like you did with Gilmore Girls !! GREAT show – one of the ALL-TIME BEST !! clearly cookie cutter writting…why I don’t watch that crap or pay for it! I have a treatise written for the comeback episode…I talked to Rob Morrow about a comeback at a Seattle Concert of Pat Metheny who wrote Morrow’s Directorial debut films music. Come on back you all! RIP “PEGGY”! In a Heartbeat!!!!!!!! Loved that show! Have all the seasons on DVD…….. I loved the show! I would watch! Yes, I would definitely watch it! I would definitely watch it, loved it at the time. I hope they would also bring back the American Indian actress ( saw her here in OK once at a Powwow ). Yes, I would love to see that show again. Yes, I would. The show “grew” in me & I enjoyed the cast. Bless them all. Yes…..I loved the show then and I would Love to watch it again!! PLEASE bring it back!! It was one of my favorite shows and I watched it every week. Would be fun to see as many of the original cast members reunited. I would certainly watch it, bring it on!